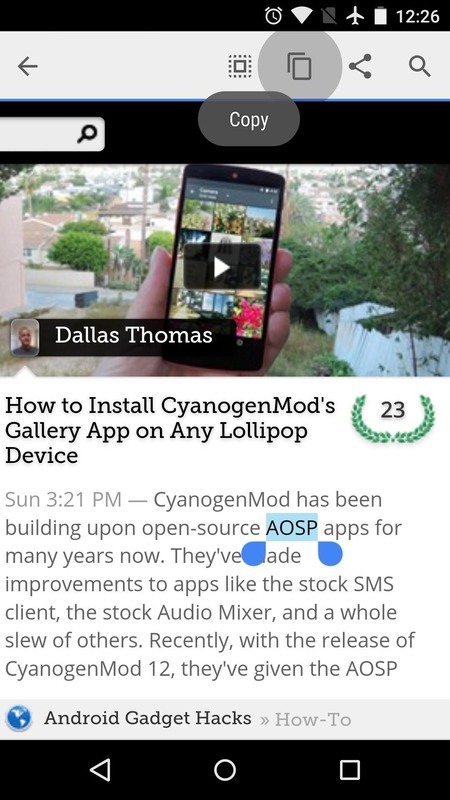 For the most part, when you're copying text on your Android device, it's because you intend on pasting it into a different app than the one you're currently using. For instance, you might be looking at a posting on Craigslist. So you copy the seller's phone number, then head to your home screen, switch over to your phone app, paste it into your dialer, and finally make the call. Well a new app from developer Murin can speed this process up drastically by removing the need to switch between apps. Basically, as soon as you tap the copy button after highlighting some text, you'll get a menu with common system functions to paste this text into, saving you at least two or three taps. For a similar app with improved features and a less in-your-face popup menu, check out Clipboard Actions. 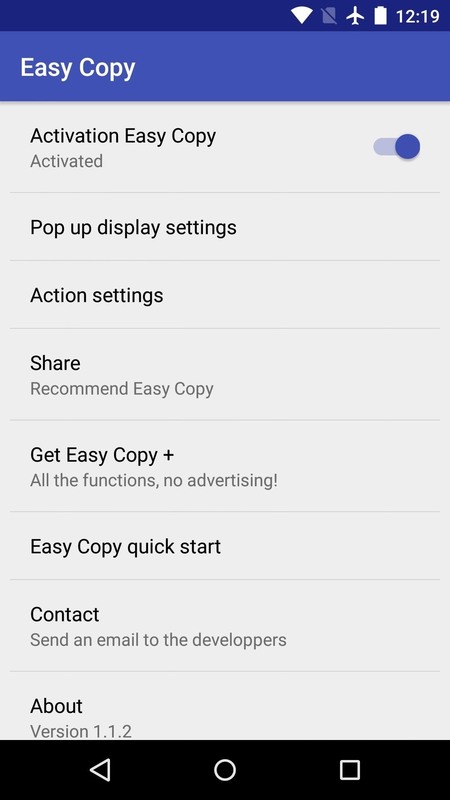 Murin's app is called Easy Copy, or more specifically, "Easy Copy - 1-Tap Copy Paste," and it's available on the Google Play Store for free. 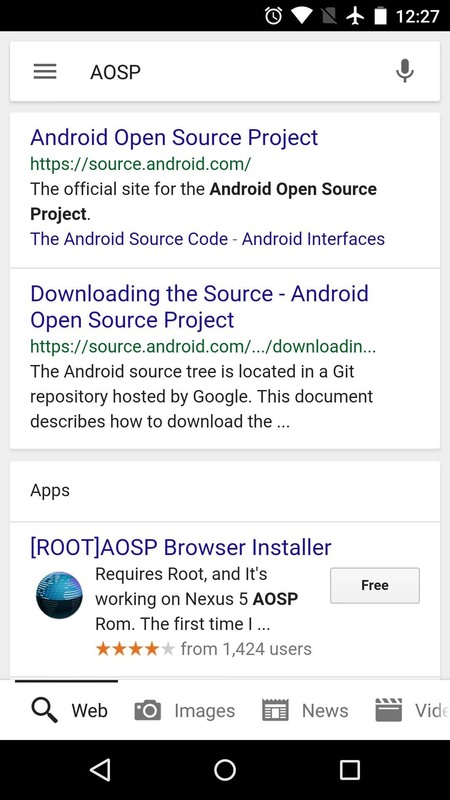 Search the app by name to get it installed, or head directly to the install page at this link. When you first launch Easy Copy, you'll get a quick feature tour. After viewing this demo, press your device's back button, and you'll be taken to the app's main menu. 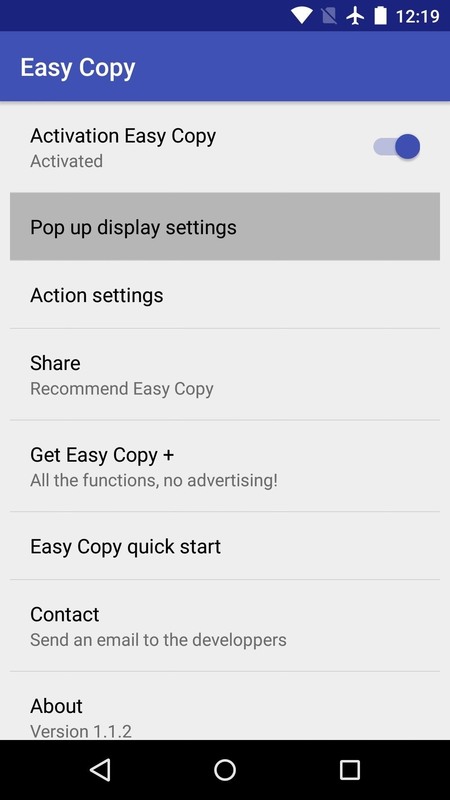 From here, tap "Pop up display settings" to sort the various options that you'll see when you copy text. With this menu, you can turn any of the options off if you'd like, and you can even reorder the list. Back out on the main screen again, tap "Action Settings" to configure additional options. 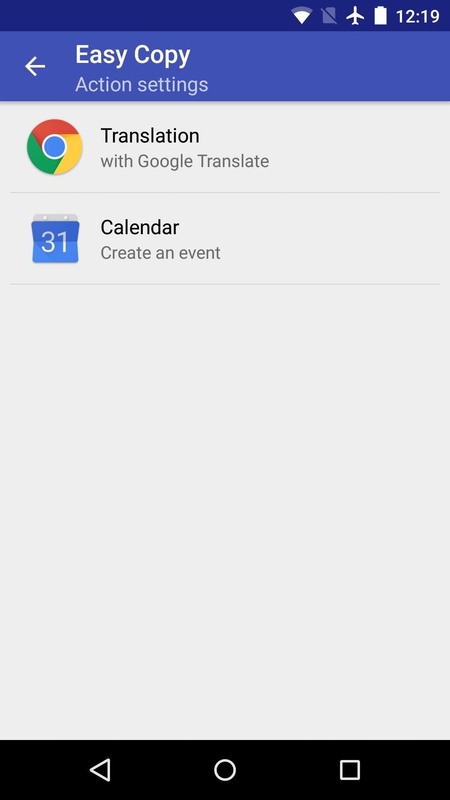 Here you can set up the translation option, as well as adjust the calendar entry settings. 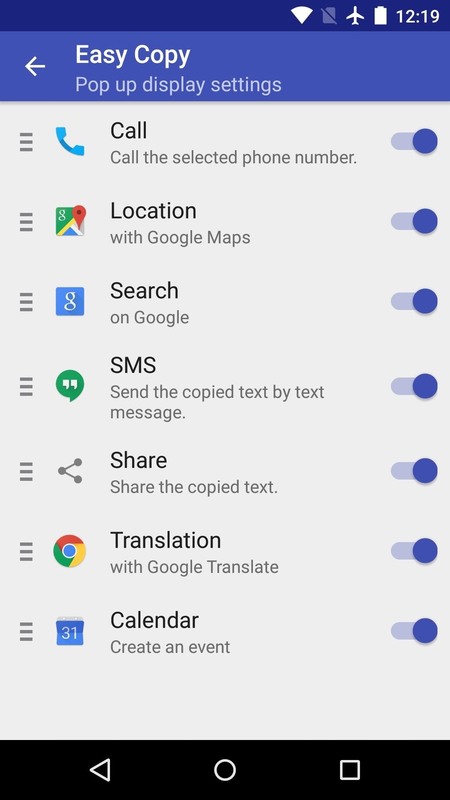 When you have everything set up to your liking, using the app is incredibly simple—just select any text from within any app, then press the "copy" button, and the Easy Copy menu will come up immediately. From here, select any action that you'd like to perform with this text, and the fields will automatically be populated in the target app. 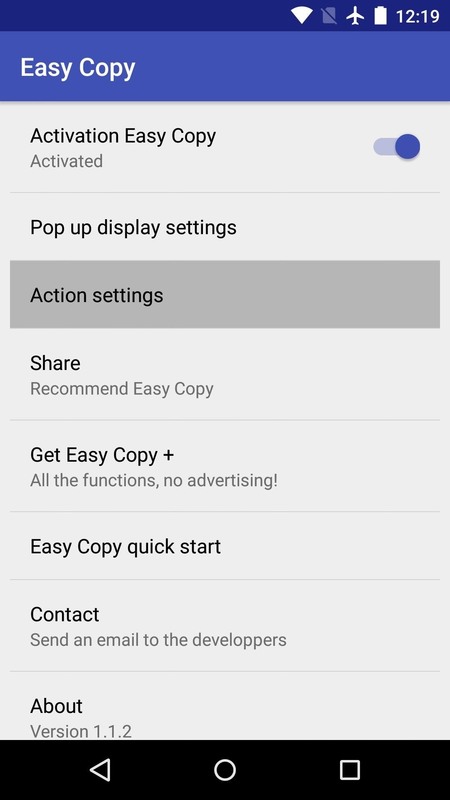 You can also remove ads from Easy Copy through an in-app purchase of $1.99. 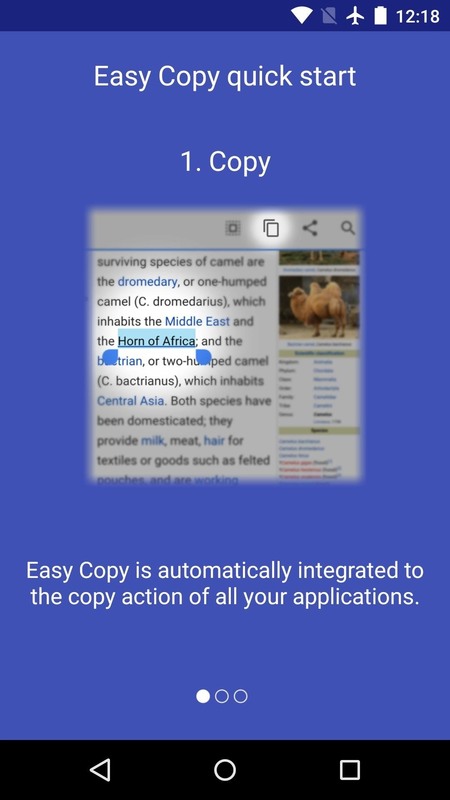 Has Easy Copy improved the copy and paste experience on your Android device? Let us know in the comment section below, or drop us a line on Android Hacks' Facebook or Twitter, or Gadget Hacks' Facebook, Google+, or Twitter. 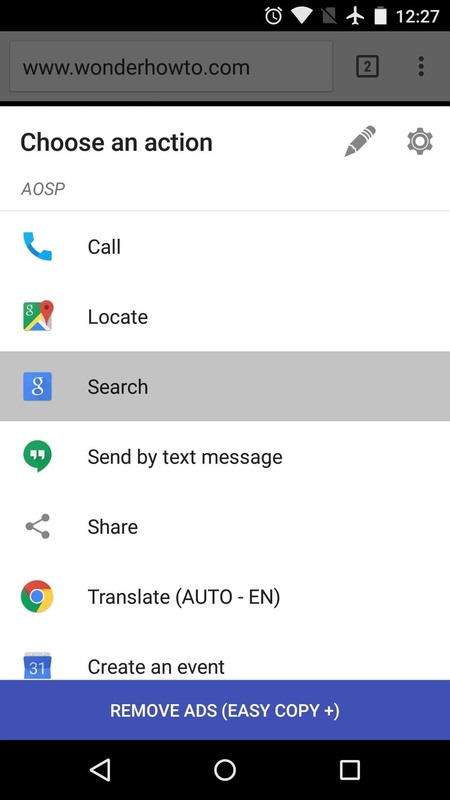 Excellent, I can finally have on Android the same cut-n-paste experience that I have on Desktop. I just wished it did clipboard management as well. Things get complicated when I want to copy more than one page at a time. Unfortunately, RAM is scarce so I can't install another application just to handle that. This is not whatsoever detrimental to this application. It gets the job done. I'm just politely asking for yet another feature to a great piece of software.